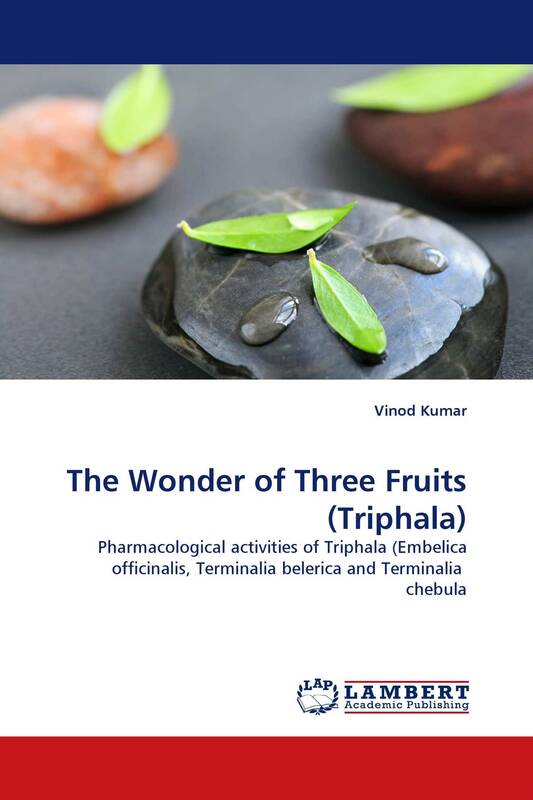 Triphala (tri - three, phala -fruits) made of Embelica officinalis, Terminalia belerica and Terminalia chebula fruits. Triphala is regarded as the safest non-habit forming laxative. There are many research studies conducted on Triphala for their best medicinal properties and found effective respectively, growth inhibitory activity against HIV, antioxidant activity, promotes healing of infected wound, antimutagenic activity, anti- arthritic activity, antidiabetic activity, antitumor activity, anticancer activity, hypolipidaemic activity, good radio protector, analgesic, antipyretic and ulcerogenic activities. I have intended this book to provide the most up-to-date information about Triphala. I have reviewed available data on Triphala. I have kept in mind a broad range of readers in both academia and industry.